I’ve been amiss in posting the past few months, not for lack of running (or even interesting things to say!) but entirely down to lack of time to actually get my thoughts recorded. In May we went to Copenhagen to visit friends I’ve known for years through running, then a few weeks later we visited Southeastern Turkey for a wedding where I ran along the incredible Lycian Way before diving into ice-blue waters. And 2.5 weeks before the Games, I ran a time-trial 5k with a friend on pacing duties that did not go so well. We were aiming for a 20min 5k, which should’ve been within my skillset, but I made him work harder than I was proud of, I felt like my heart rate was red-lining the entire time, and even though I crossed the finish line as first lady, I didn’t feel proud or triumphant – just shattered and a bit embarrassed. So off the back of that, I laid everything out to my coach and she formulated what was probably the toughest two weeks of training I’ve had in the entire four years I’ve been with her. It also coincided with a rare heatwave in London, which meant that for the fortnight preceding the Games, I was cycling to my office job (35min, 10k), working a full day, cycling to Regents Park (35min), putting in 90min on the dirt track with my coach, often in 30+C heat, then cycling home (45min), picking up dinner on the way, shoving food in my mouth and falling asleep. Repeat pretty much daily, though sometimes the track session would be replaced by a solo tempo run or an occasional recovery run. 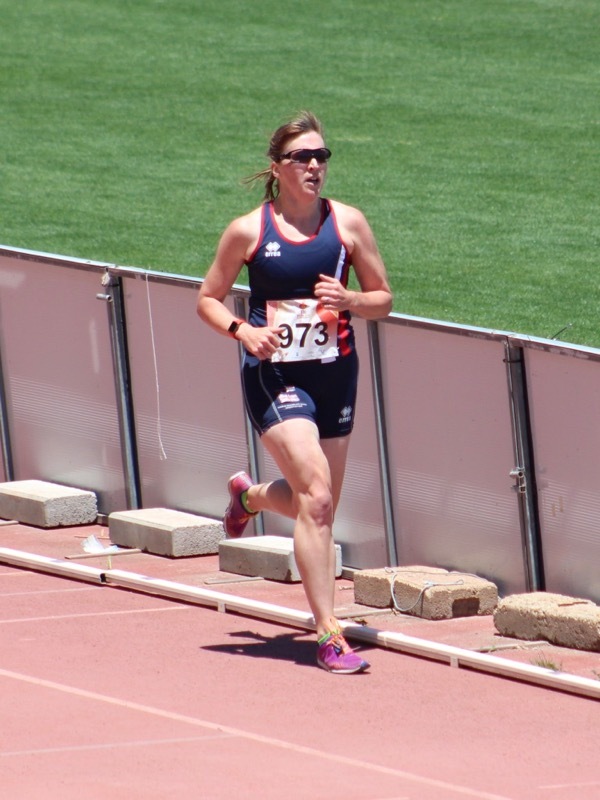 But I didn’t have a single rest day in the leadup, and it was really just fine-tuning my formwork and pacing, which saw me shaving 8 seconds off my 800m and 3 seconds off my 400m in the span of two weeks. Note that this is on top of the 6 months of endurance and strength training I’d already been doing – you can’t expect to ONLY train two weeks for events of this calibre!! So I boarded the flight to Malaga feeling prepared. but definitely guarded. Training in heat wave conditions was definitely helpful to prepare for the 30-35C temps in southern Spain, but mentally I felt a lot of pressure to live up to the 6 gold medals I earned at the previous Games in Argentina, and knowing that I had ten supporters flying in from around the globe to watch me only added to the pressure. 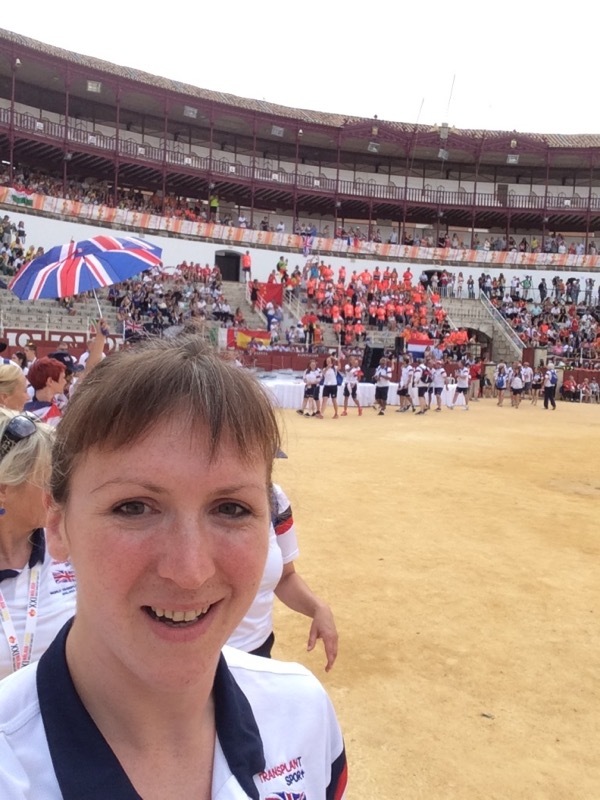 The Opening Ceremony this year was held in the historical bullring, and the athletes parade was a-m-a-z-i-n-g. Definitely a great way to start the Games off right! My first event of the week was the 5km Road Race, which is my strongest event and one I’m most comfortable with as a distance runner. I’d vastly prefer a 10k or even half marathon, but as far as races go, at least I’m in my element with a mass start and two laps around a closed course. 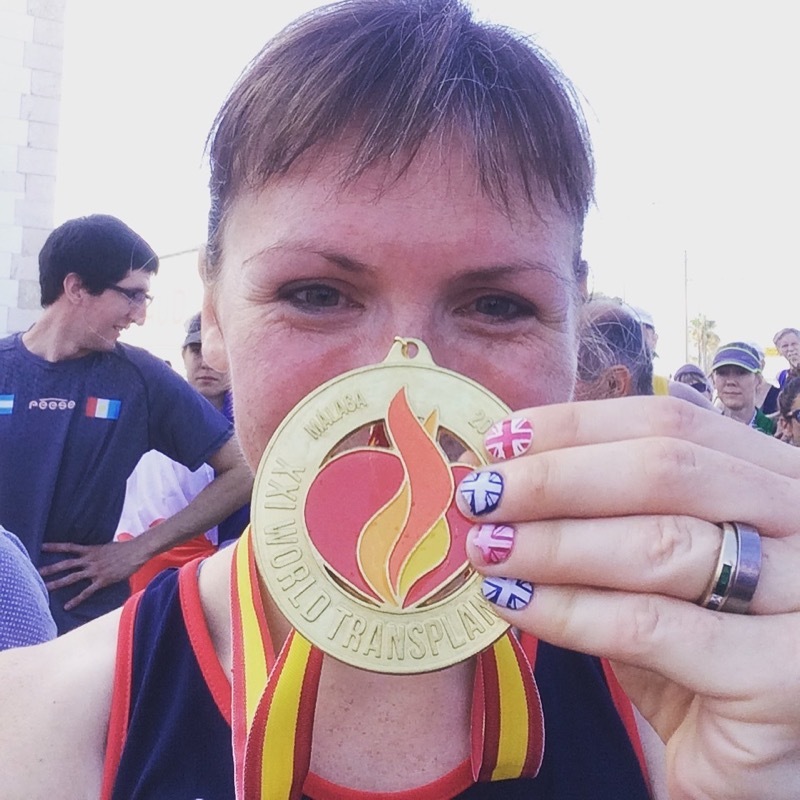 The race looped around the Malaga port, passing by a Picasso Museum, aquarium, several sculptures, and an enormous yacht as well as a historic lighthouse, so at least I had pretty things to look at to distract me from my screaming legs and lungs. 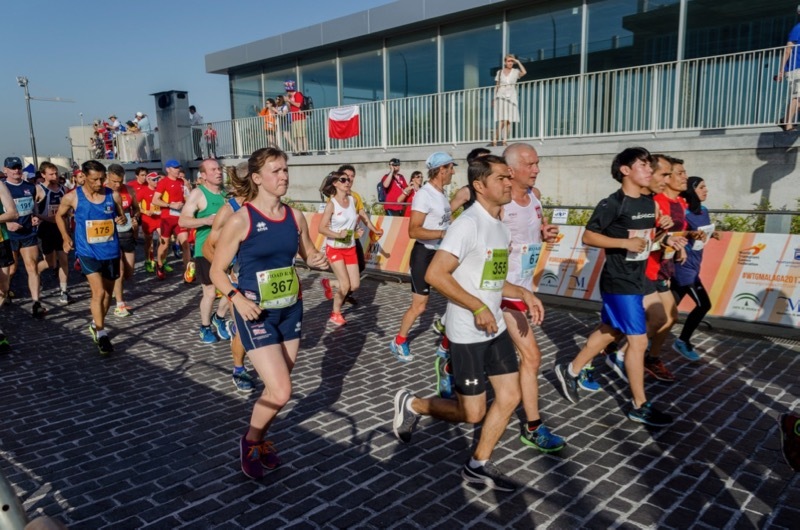 Even though the race started at 9am, it was already 29C and several athletes collapsed on the course from heat exhaustion, so I cannot stress enough how tough the conditions were! The two loop course also contained a handy out-and-back section which is always helpful when racing – it means you can see the position of the competitors behind you instead of relying on your spectators to shout out info. It meant I could also tell my teammate Ruth that she was still in silver medal position on the second loop, as the ladies between her and I were in different age categories. 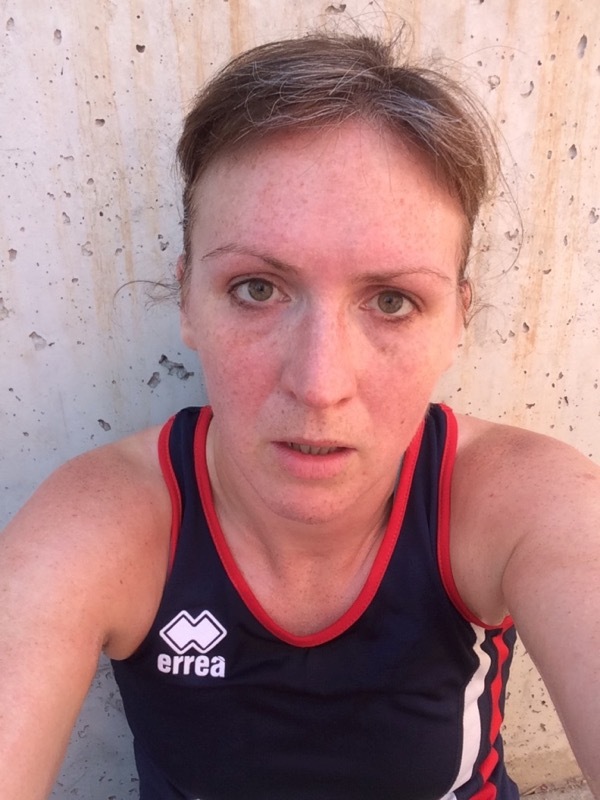 Post race selfie – I said it was tough!! Thankfully, I was able to retain my world championship title by finishing first lady (in any age category), winning gold in the 30-39 age category as well as team gold for women of any age (first 3 females across the line win points for the team), finishing in 18:57! Though take that with a grain of salt, as many athletes’ GPS recorded it as being significantly shorter than 5km (more like 4.5km)! Then it was (thankfully!) 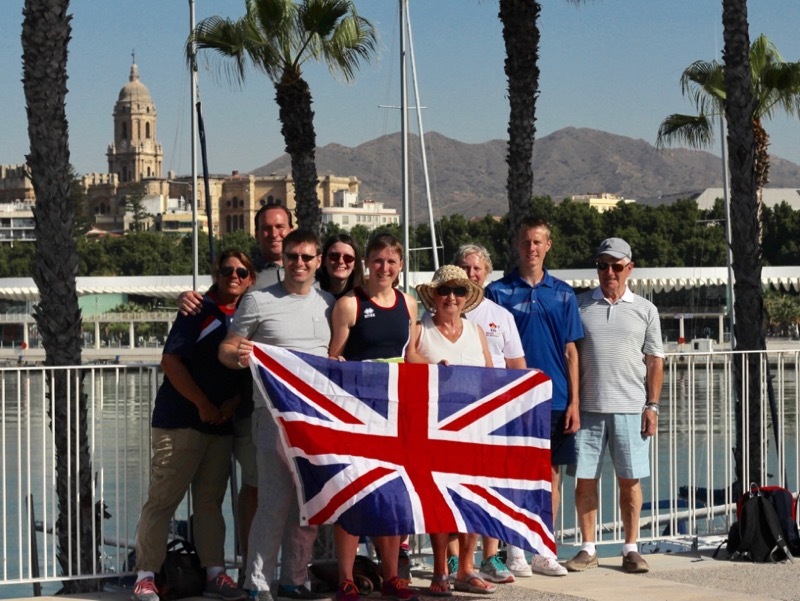 three full days of rest and recovery around Malaga and Torremolinos to prepare for the track events on Friday and Saturday. In Argentina, my events were pretty nicely spread, with one in the morning and another in the afternoon on each day, but the scheduling was… eclectic if I’m being charitable, and ramshackle if I’m not. 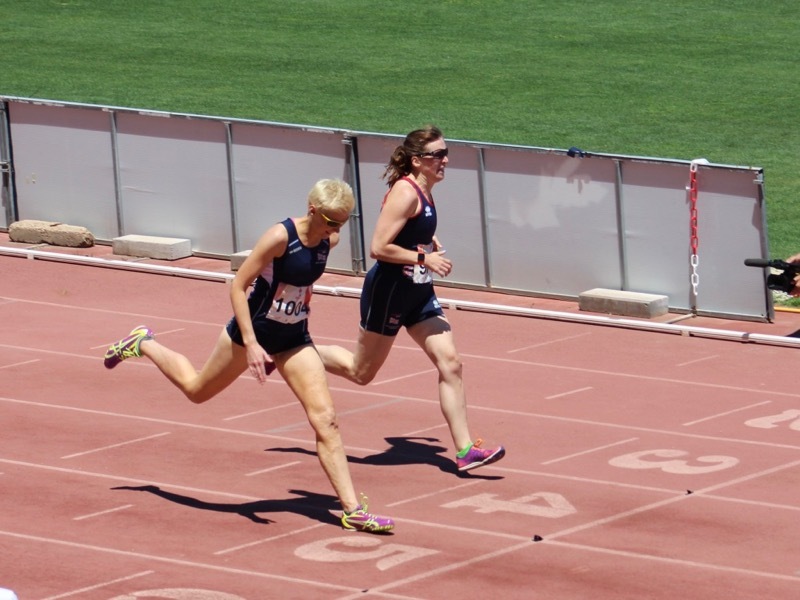 Schedules were only finalised at 6:30 on the morning of competition, started two hours late, and ended up with my 1500m being raced at 3pm in the sizzling heat of the day, with a mere 10 minutes of rest before the 400m. Many, many expletives were uttered, but there wasn’t anything to be done but trust in my training and know that all the other athletes were in the same boat. 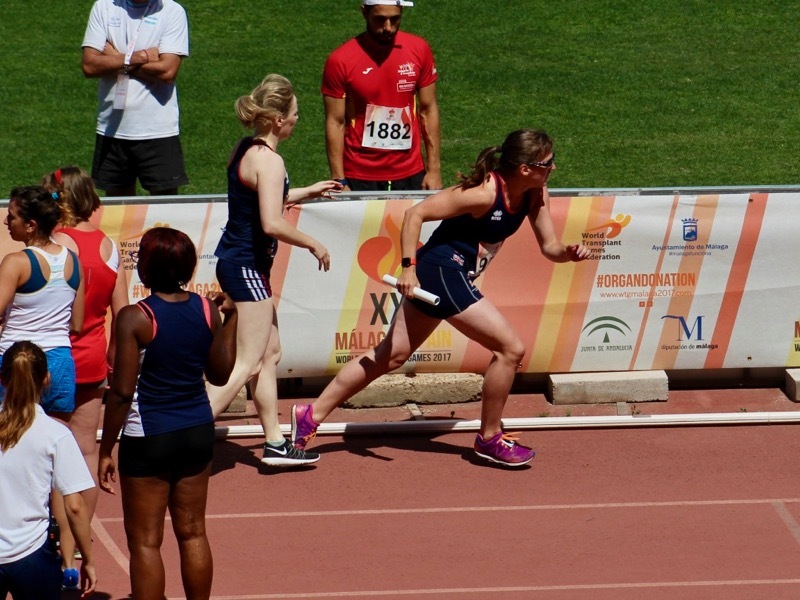 The 1500m is traditionally my strongest track event, and one I enjoy the most at the British Games, where I often have Belfast athlete Orla Smyth to play with. I love competing against her as she’s a super strong runner who always pushes me to do my best and get to put some strategy into play. In short, it’s much more fun when Orla’s running, too. 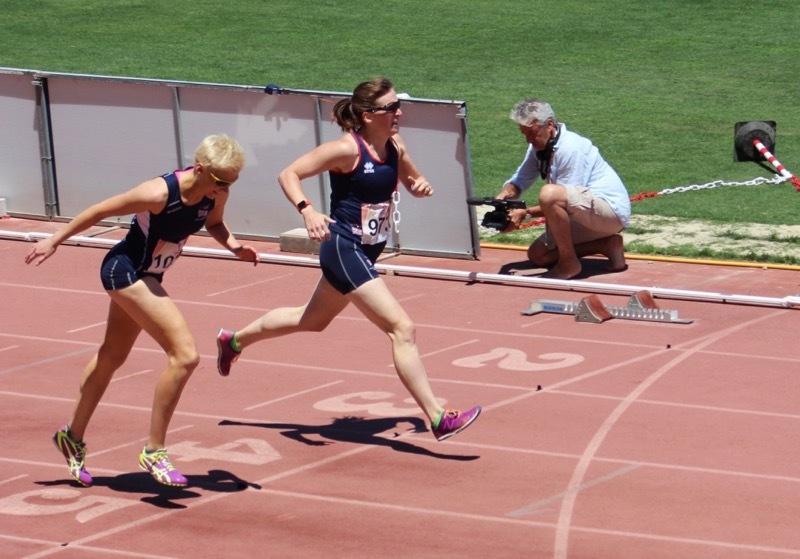 So as the gun went off, we both broke away from the pack and I settled into Lane 1, with her barely a stride behind me. I could hear her breath so I knew she was close, and she maintained that position for the first two laps. 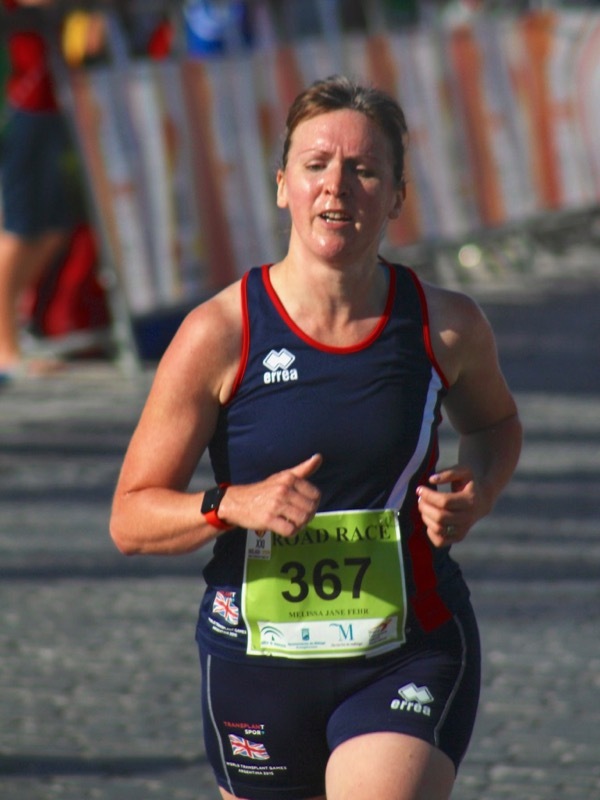 Traditionally, I like to make my move and pick up the pace in Lap 3, but I realised during this lap that I couldn’t hear her breath any longer, and by the time we started Lap 4, her bell sounded about 200m behind me so I knew I just had to push on through the heat to the finish and take gold, only 4 seconds slower than my World Record time I set in Argentina. Considering it felt like we were being melted from above as well as the heat coming up from the track itself, I’ll definitely take that! No sooner had we come off the track from the 1500m, though, and they were already calling for the 400m. In all, we had ten minutes between races, which was in no way enough time to recover, let alone stretch, cool down, and warm back up for the race. But again, there wasn’t anything to be done, so we toed the start line again, with me in Lane 3 and Orla ahead of me in Lane 4, for what’s traditionally her strongest race (she left me in the dust at the British Games last year!). …where it was so close that neither she nor I could say who won, and neither could our friends on the line awaiting the next race, nor our friends in the stands. In the end, we had to wait over an hour before the Photo Finish Booth (thank god there was one!) made a decision and we were awarded our medals. In the end it was decided that I won by one one hundredths of a second, possibly the closest finish I’ve ever had in my life. It honestly could’ve gone either way, and I’d initially thought I’d lost it, so it really is a shame that it couldn’t have been awarded as joint gold. After a brutal day on the track, it was back to the hotel for a very welcome dinner and an even more welcome night’s sleep before returning to the stadium for the second day of athletics. 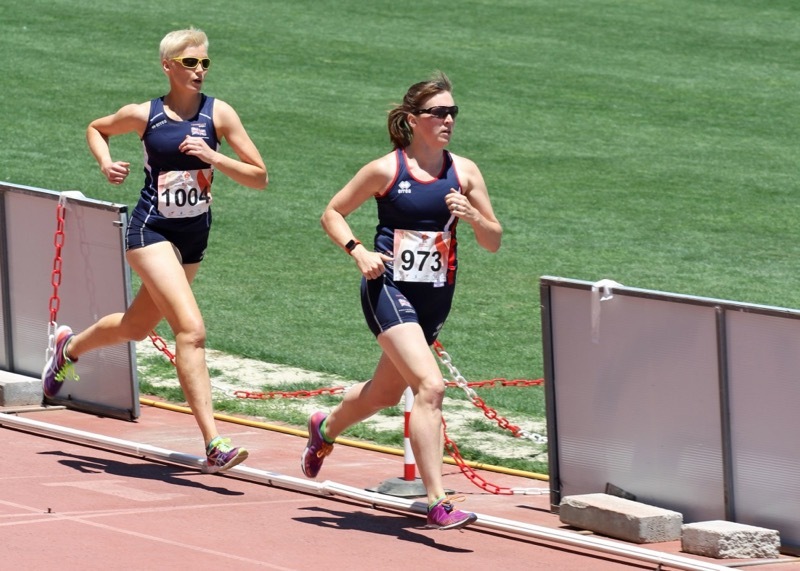 Unfortunately the previous days’ racing had aggravated a stress fracture Orla had suffered in the leadup to the competition, meaning she had to pull out of the 800m. This is normally the race where we’re most evenly pitched, so I was gutted for her that she couldn’t put all her hard work into one last race. 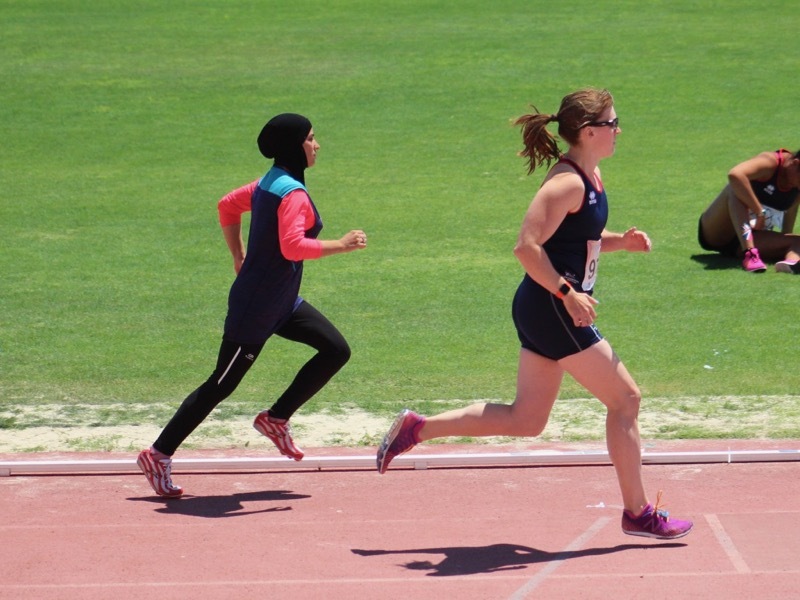 As it turned out, the 800m was the closest thing I had to a time trial the whole Games, with quite a bit of breathing room between me and the Iranian lady in silver position. But even so, I remember coming into the finishing straight and hearing the crowd really pick up their cheers and thinking “are they cheering because I’m finishing, or because she’s gaining on me? ?” and picking up my pace in paranoia that she’d pull out a last second victory over me like I’d just done in the 400! After the 800m, I had an hour or two to think about whether I wanted to run the 200m race. Now, the 200 is traditionally my weakest event, and the one that takes the most out of me, and I’d really only put my name down thinking it’d be a wildcard and I’d only run it if it was a guaranteed medal. 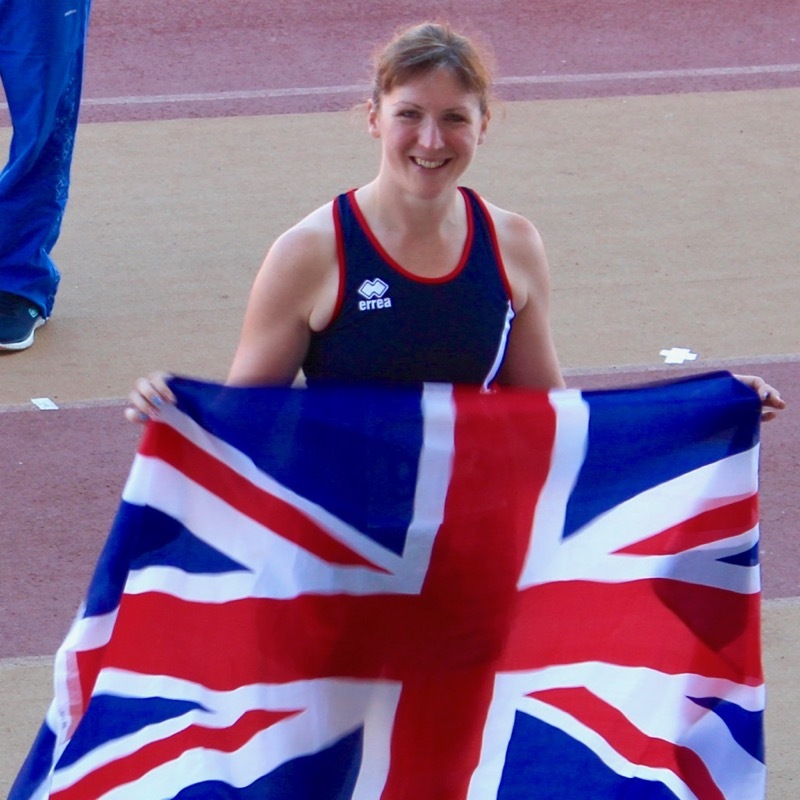 But I was feeling ballsy on the day, and we’d practised the 200m form and pacing so much in training that I decided to run it, even though World Record holder and fellow teammate Emma Wiltshire was also on the starting sheet. 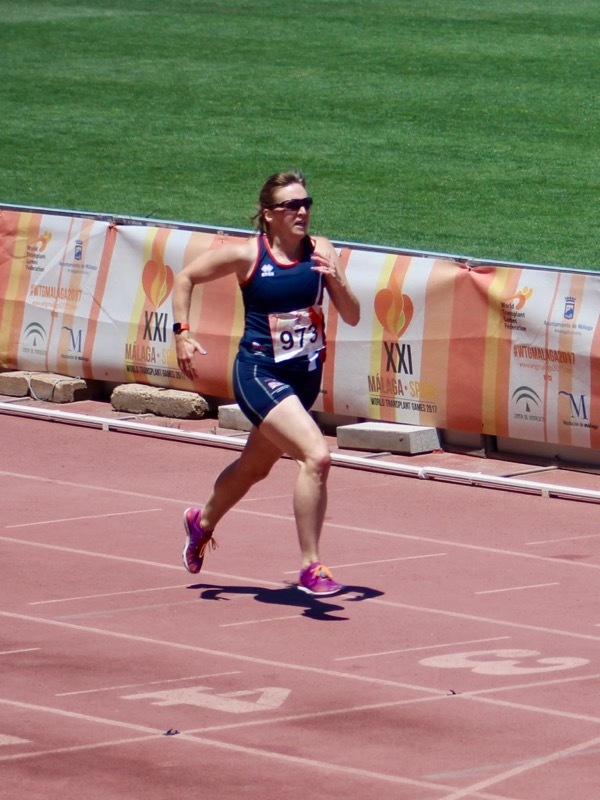 The other girls were all sprinters and therefore using starting blocks, but I refused to allow myself to be intimidated and just ran as hard as I could with my arms and knees high, pushing, pushing pushing until I crossed the line… for a new PB and bronze! Honestly, I think I was the most chuffed about this bronze than some of the Golds, and it would turn out to be my only PB on the track this year. Finally, the last events of the day were the 4×400m relays, with us ladies up first and the men directly after. 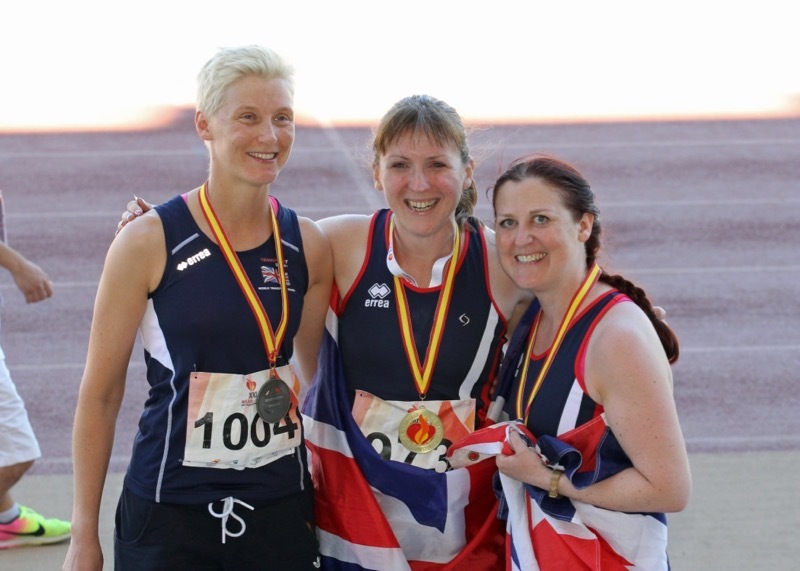 With a few runners out for injury or other event conflicts, we fielded a team of myself, Emma Wiltshire, champion 100m sprinter Emma Hilton, and fellow Road Race team winner Marie Devine. Marie set off first, holding her own against the Hungarians and Argentinians, with Emma Hilton gaining ground in her lap to put us in the lead. 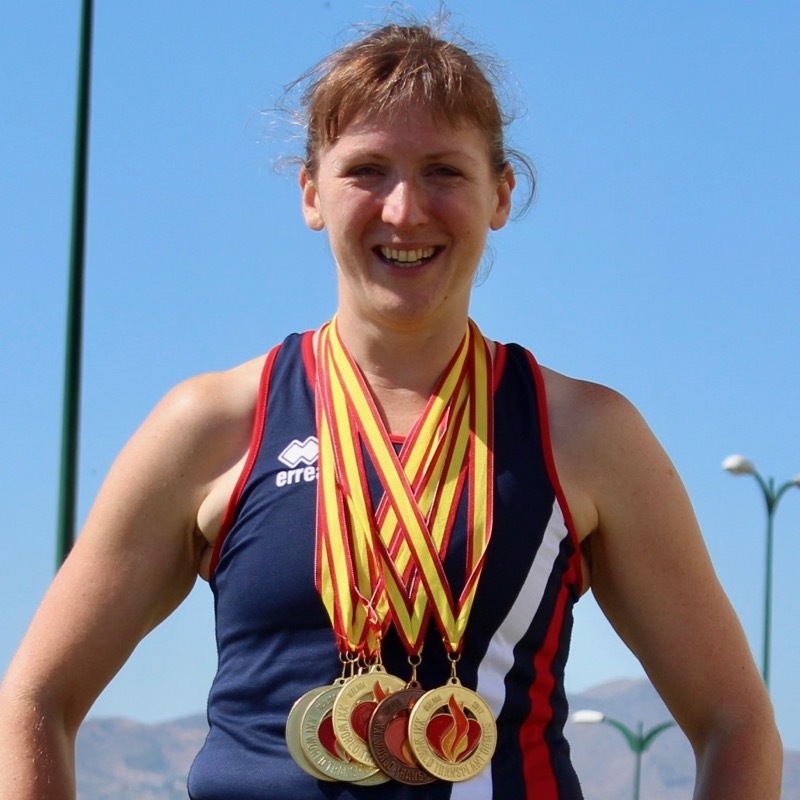 Emma Wiltshire further strengthened our lead, so by the time I picked up the baton for the anchor leg (they put me on anchor?!!? ), I merely had to maintain what we had. In the end, I think I gained a little bit more ground, but was able to finish comfortably for my 6th gold medal of the games. After a quick closing ceremony, it was back to the hotel to shower and change before the Gala Dinner, where Team GB were awarded the team prize, which wasn’t much of a surprise considering we absolutely dominated the medal table from start to finish, earning more gold medals than the second place team (Team USA) had total medals. 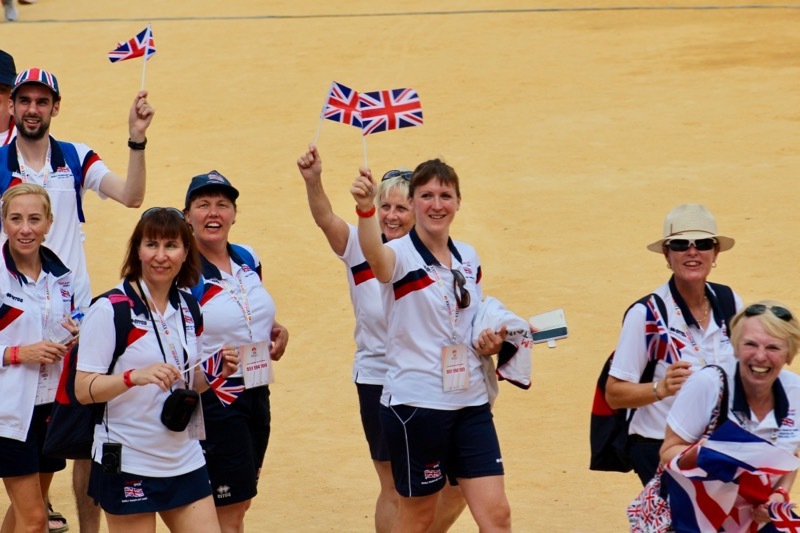 As I like to tell people, the World Transplant Games are as much a reflection of the nation’s health service as they are the athlete’s abilities. 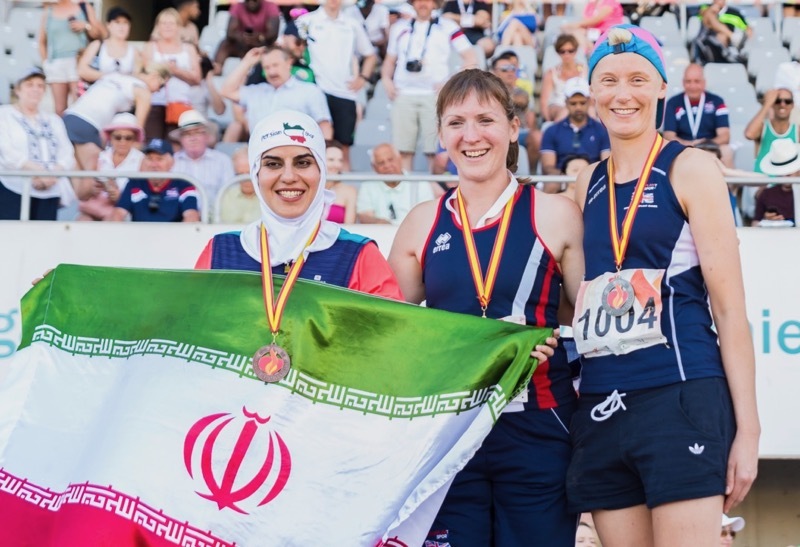 And as every single athlete who competed had to cheat death just to get to the start line, it really is the most inspiring week of athletics you’ll ever experience. 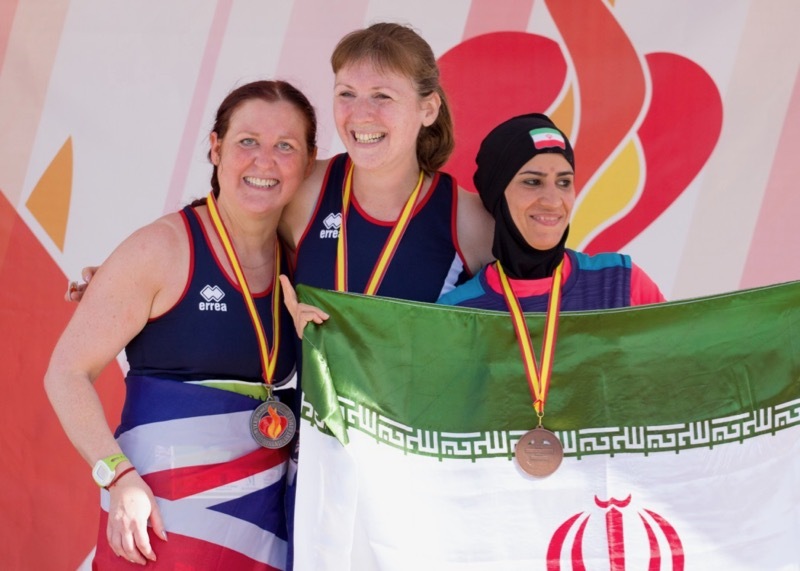 The addition of events for donors this year made it even more special, from the standing ovation received by the donors in the opening ceremony right down to the special medals awarded for the different donor events. You could feel the gratitude not just from the athletes but also from the supporters like my family and friends, who wouldn’t have me around if it wasn’t for my donor. Team Fehr, minus Paul and Claire who joined later in the week! Looking at the medal result between Argentina and Malaga, you may be forgiven for assuming that this year’s haul was inevitable, but it absolutely wasn’t. I was hoping to maybe win gold in the Road Race and 1500m again, but these Games have absolutely exceeded my expectations. The competition was fierce this year, and there were some incredible feats of athleticism on display, truly showing what is possible post-transplant. As it turns out, my 8th rebirthday of my own bone marrow transplant is tomorrow, a timely reminder of the day that my life began again, a life I wouldn’t have if it weren’t for my donor. 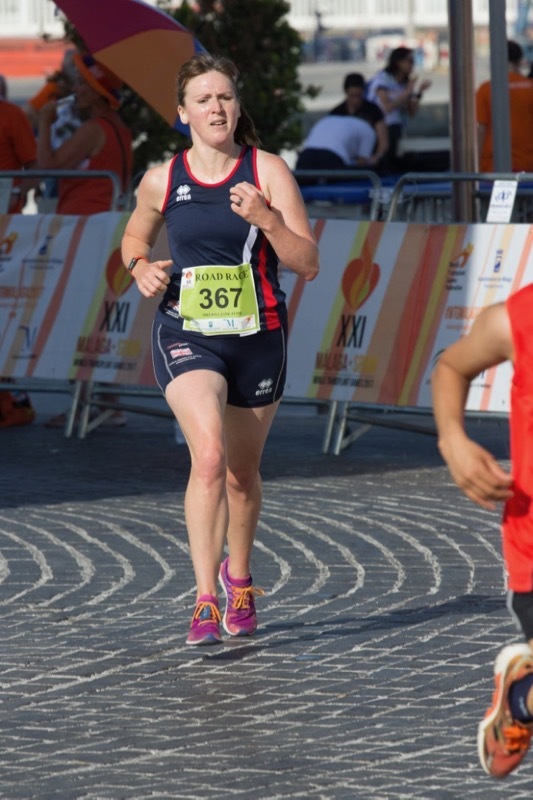 Unbeleavabel ….. what a great runner you are. 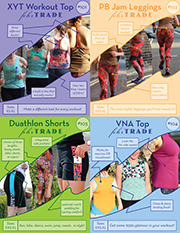 I did not know the whole story of your running life but I read it now on your ‘about’ ….. Congratulations on all your medals…. really great. Wow—congratulations Melissa! Great work! Thank you also for sharing your story. What a great job !! You look in such great shape , all that training paid off!